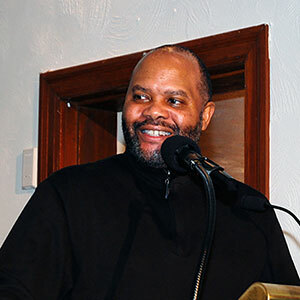 Dr. Wendell W. Bonner currently serves as the Elder of the Ministry of Jesus Christ at First Baptist Church of Webster Groves in St. Louis, Missouri since 1994. 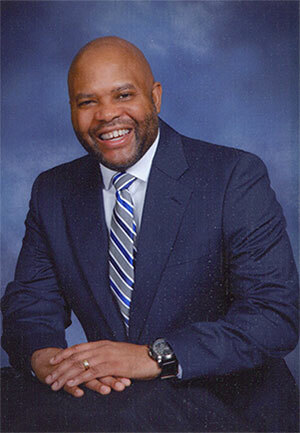 He has received a Master's Degree in Education and a Ph.D. in Counseling Psychology. 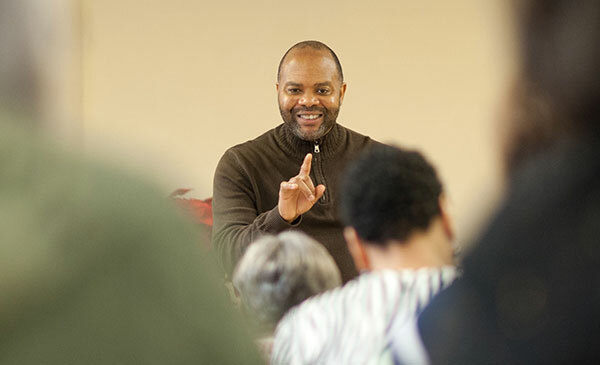 He has served as a counselor for Pastors and as an educator of church staff; as well as a program developer for Church leadership forums, continuing education programs and seminars. By God's choosing, the vessel of Dr. Bonner has also been chosen as one of the Holy Spirit conduits into the life of the church of Jesus Christ through the writings of over 150 Christian manuals and booklets. These publications seek to provide spiritual enlightenment and encouragement to the saints of God. Dr Bonner is married to Dr Lizette Smith-Bonner, a clinical psychologist. Dr. Bonner is the father of three daughters. Named to the Covington's 2013 Edition of Who's Who of International Executives and Professionals. Initiated into Phi Delta Kappa November 1, 1989; a professional fraternity in education. Initiated as a member of the Society in Alpha Chapter of Kappa Delta Pi – An Honor Society in Education. Initiated into the Eta Chi chapter of the Alpha Phi Alpha Fraternity. Served as the keynote speaker for the National Association of Presbyterian Churches. Served as the break-out session presenter for national, state and regional conferences of the Churches of Christ. Served as Director of Ordination Education for ministers of First Baptist Church of Webster Groves, Missouri using the existing 3-year "School for the Prophets" Ordination Education Program of First Baptist Church of Webster Groves, Missouri. Served as Internship Supervisor for area Seminary and Bible Colleges. Provided educational training for area church diakonate systems. Provided educational training for church officers for area United Methodist churches. Internship Supervisor for area Seminary and Bible College students. Served as ordination Preparation Supervisor for ministers of area congregations at the request of the host church's pastor. Ordination Program Coordinator for ministers in training in area churches. Saint Louis University – past Assistant Professor of Counselor Education. Authored a Multidisciplinary Grant involving 12 departments of the Schools of Law, Education and Social Work at St. Louis University. Conducted team building program for Langston Middle School Faculty and Staff in St. Louis, Missouri. University Education faculty and residents of the Blumeyer Housing Development. In 1998, commissioned by Parkland College in Champaign, Illinois to develop and write a "Rites of Passage Program" for African American young men entitled "African-American Male Reconnections and Transformations: An Exploratory Study on the Perceptions of African-American Males on Adult Development and Re-Education." Served as member and a Principal Interviewer on Saint Louis University NCAA Accreditation Committee. Published article in the Journal of Western Psychology – "African Americans and Intentions to Seek Counseling – A Test of Two Models." Written and developed ten (11) sets of thematic Christian Education curricula with eight (8) of them specifically for youth grades 1 through 12 for Children's Church, Youth Church and Teen Church programs for First Baptist Church of Webster Groves, Missouri. Written and developed both a Youth Church (6th grade through 8th grade) and a Teen Church (9th grade through 12th grade) Worship and Educational program to address age-appropriate worship and Christian education experiences in sessions held simultaneously with the adult worship experience including both didactic and experiential elements to provide a holistic Christian and civic development environment. Written and developed Children's Church Summer Enrichment and Exposure Program which is designed to bring a holistic approach to the spiritual learning experience. It is designed to add to the didactic programming by enriching their experiences through experiential exercises and excursions that bring learning to the whole person visually, experientially and contextually. Written and developed the Miriam and Timothy Pre-Ordination Program – a 3-year Program for ministers preparing for ordination at the First Baptist Church of Webster Groves, Missouri. Written and developed a Diakonate Training Program known as "Taking the Point" for candidates of the Diakonate of the First Baptist Church of Webster Groves, Missouri which serves as the center of all of the Diakonate Training. Written and developed Diakonate Training programs and protocols for the Diakonate membership of over 60 members strategically divided into six (6) divisions to address specific demographic segments of the congregation's population. It is part of an ever-extending network of nurture and congregational care. Written and developed Adult Christian Education curriculum currently being used in Ghana, Africa. Invited workshop facilitator on Christian Stewardship (Los Angeles, California; Memphis, Tennessee; Chicago, Illinois; St. Louis, Missouri). Workshop and seminar training for officers of United Methodist Church in Los Angeles, California. Invited workshop facilitator and planning committee member for Men's Emphasis month focusing on the role of Christian men in the Church of Jesus Christ (Memphis, Tennessee). Created and facilitated workshops and forums for Christian Leadership and Christian Education with the Christian Methodist Episcopal Church [CME] (Scruggs Memorial CME Church) and the Disciples of Christ denominations (Mississippi Boulevard Disciples of Christ Church). Written and performed music for events, such as, church concerts, individual concerts, and presidential rallies. Served as songwriter (over 150 songs), pianist, choir director, choral instructor and music workshop presenter.